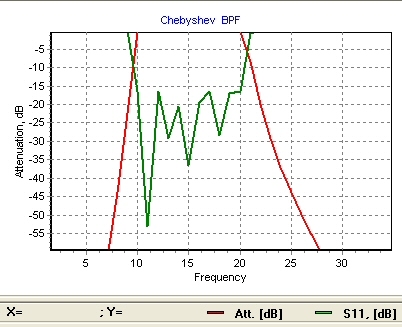 I just ran "Vlad's filter designer program", and so far as I can tell, it is awesome! I mean, it has the three basic qualities of a good application: it's SIMPLE, it uses the same terminology used in verbal expression, and it's FREE! Hats off to you Vlad, whomever you may be! 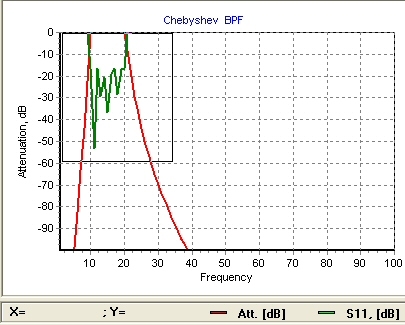 Tis executable file calculates Butterworth or Chebyshev filters, up to 11 poles. 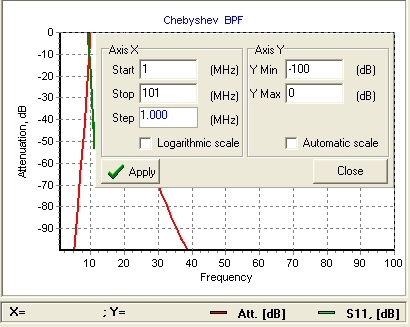 It can analyze low pass, bandpass or high-pass filters, in a tee or pi topology. 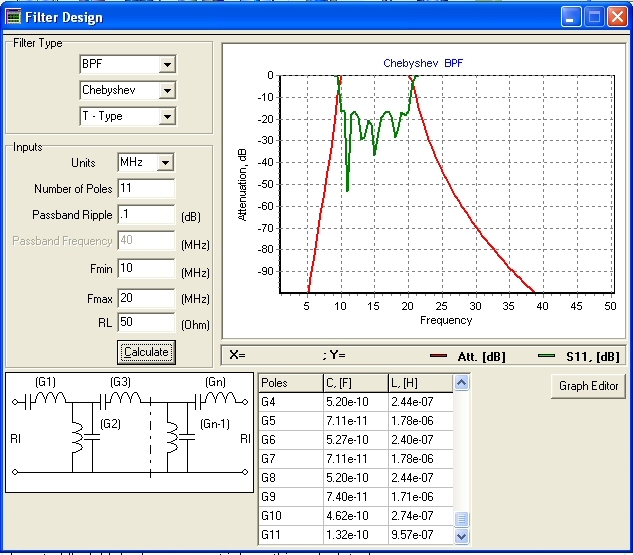 You enter the filter's bandwidth parameters (passband, ripple and characteristic impedance) and the calculator returns the ideal lumped element values (inductors and capacitors). It gives you an display of the filter's response including S21 (labeled ATT) and S11. The number of points calculated is fixed at 100. Keep in mind, for a true microwave filter, you'll need perform further analysis and adjustments because lumped element parasitics affect the filter's response, using a more sophisticated tool such as Agilent's ADS or Microwave Office. One of these days we'll post an example that includes these details. Here's a screen capture of the calculator in action. The axes can be adjusted by right clicking inside the graph, which reveals a menu for adjusting the X and Y coordinates of the graph. If anyone has any suggestions for improvements, send them our way and we'll pass them along to Vlad. He's done a great job on this calculator!